Thank you for your interest in receiving a catalogue. 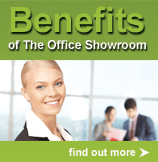 At The Office Showroom we have an extensive range of products available. 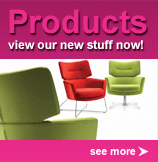 To serve you better, please browse the product pages to find the ranges that interest you, then click on the Request Catalogue button to create a list of the catalogues you require. When the list is complete, please return to this page and complete the request by entering your details. If you are not sure about the ranges at all, just give us a call and we can guide you through the website and the ranges available. Our knowledgeable and friendly customer support team will easily pinpoint the products to suit your taste, budget and requirements. Did you know that most of the ranges are available in our showroom? Relax with a coffee and try out the different ranges at your leisure. We are open Monday to Saturday 9am to 6pm. Our contact details are available at the bottom of every page, and directions to the showroom are on the Find Us page. We look forward to hearing from you soon.